It’s Christmas Lily season, AKA Amaryllis! These gorgeous bulbs compliment any household that they enter. Red is the most popular holiday colour, but the colours also include white, pink, orange and multi-coloured. Amaryllis means “sparkle” in Greek, and represents pride, determination and beauty. During the holidays, planting the bulbs in a nice ceramic pot, with moss on top and decorative accents, like sparkly ornaments, can be a great way to add a little extra to your growing process. Amaryllis need to be planted in a rich soil-based potting mixture, with rock at the bottom to aid drainage. Before planting, soak the bulb in lukewarm water for an hour, then bury half the bulb, leaving its neck and shoulders clear of the soil. The potting mixture should be kept barely moist until roots develop (as indicated by the appearance of healthy new growth). When the plant is full grown, water enough to keep the soil constantly moist. Amaryllis do best in bright light during the growth period. If not enough light is provided, it can cause elongated leaves, and no flowers the following year. Consistent bright sun is the key to making it rebloom over and over again. 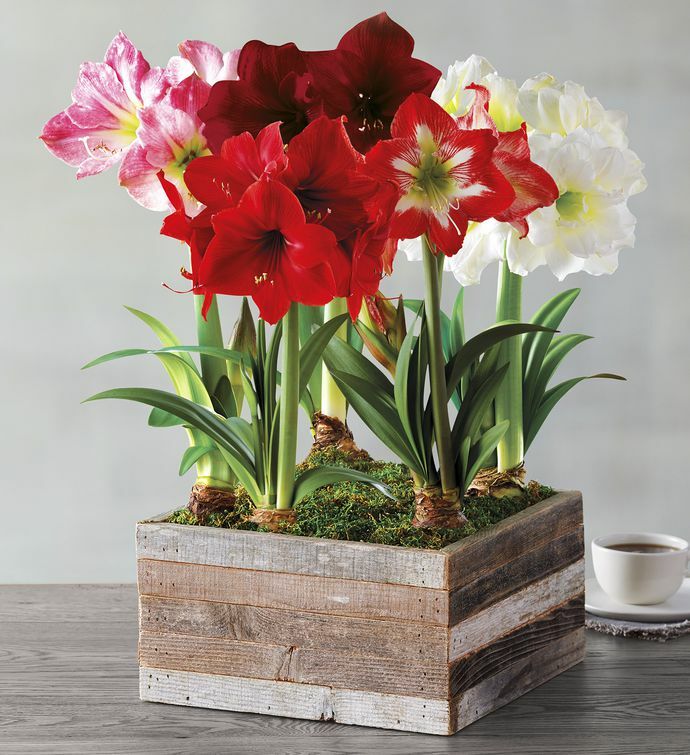 The simple care for Amaryllis will surely bring beauty and light to your dull winter days.